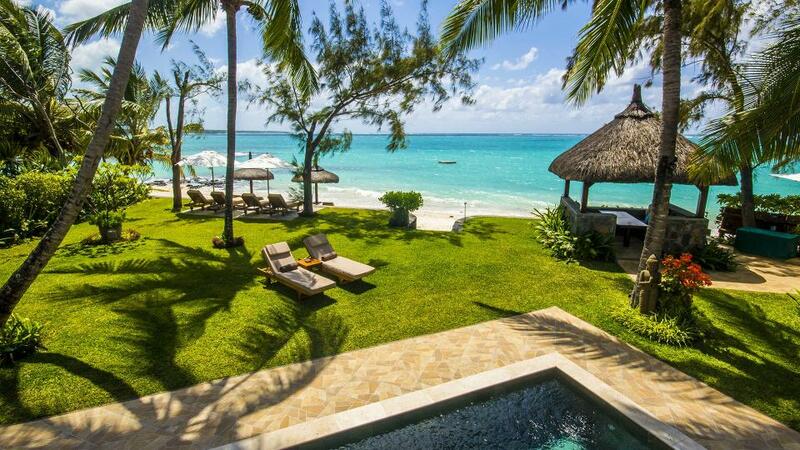 Villa Anse Fauverelle is a wonderful, relaxing haven in the Petit Belair area, a natural and quiet surrounding, an ideal vacation villa for a group of friends or a large family. This large, 360m² spacious villa will easily accommodate 10 guests with luxurious comfort in its 3,600m² estate. 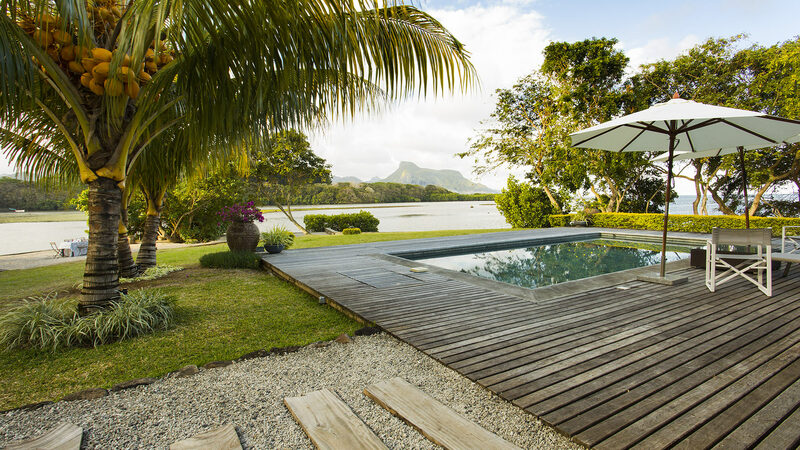 Villa Anse Fauverelle is a really perfect setting for those who love nature and tranquility while still being close to the city and its traditional markets. There are 5 bedrooms in the villa, all overlooking the sea, each offering an ensuite bathroom with shower. Each bedroom has A/C and a fan. 2 bedrooms are located in the tower next to the main villa, they have a circular feature and their own separate entrance. 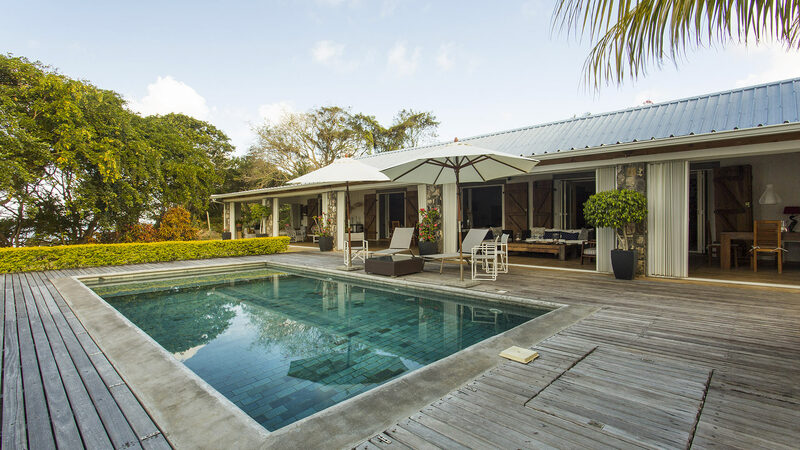 Villa Anse Fauverelle features a beautiful private rectangular shaped swimming pool (8.4 x 4.2 m), that can be protected for the children by a let, a manicured garden with amazing sea views and lawn leading down to the ocean water. The large terrace is an invitation to relaxation with several cozy sofas and loungers. There is also a beautiful living room with natural stone walls and a large open kitchen. A Weber barbecue is available. - Raj is the villa watchman and manager. 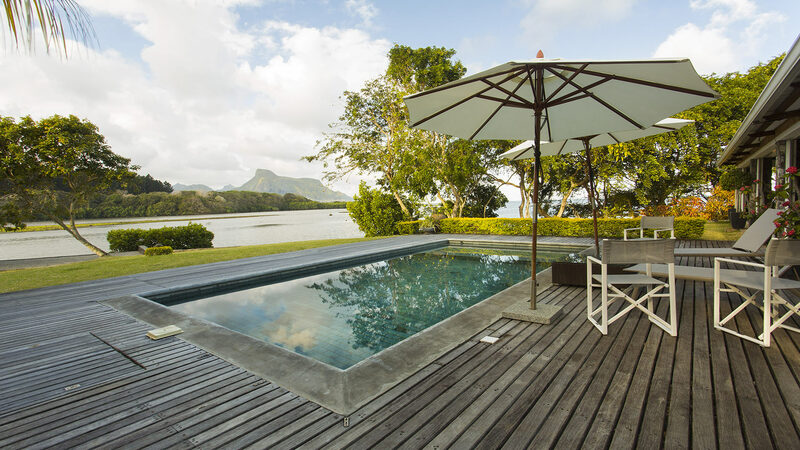 He lives on the property in a separate area with his wife Monique who is in charge of preparing breakfast and lunch or dinner; she will propose typical Mauritian dishes. She serves the house daily from 8:30AM to 12:30PM and one hour in the afternoon. - Siama, the housekeeper, has the same schedule except for Sundays & Holidays where only one person will be at the house. - Two canoes are available. You can paddle up the River des Créoles or River la Chaux and discover Anse Fauverelle (not more than 2 to 3 km). - The villa has a 20km generator and an osmosis filter guarantees good quality drinking water, warm or cold. - Internet access, free of charge. 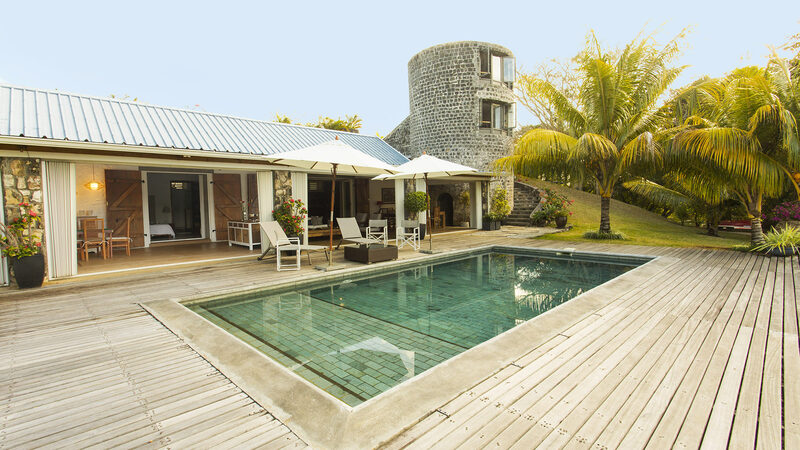 Villa Anse Fauverelle is fifteen minutes from Plaisance airport, by Riviere des Creoles and directly overlooking the ocean with a magnificent view of the Lion Mountain. The villa was built on the ruins of an old lime kiln dating from the 18th century. 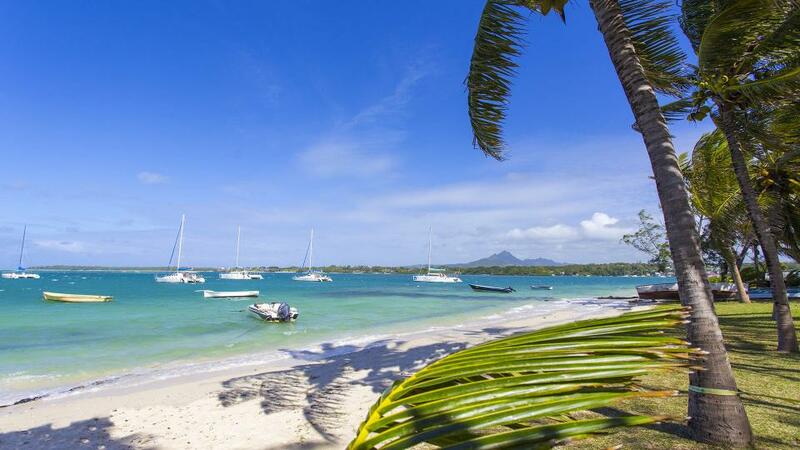 It is located at Anse Fauverelle, in a peaceful environment North of Mahébourg. 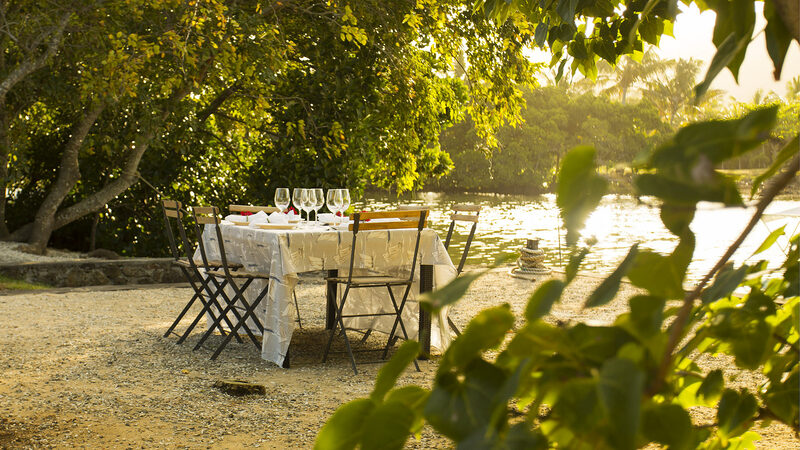 A few kilometres from the villa, there is a magnificent private hunting estate where wild deer and wild boar hunting parties can be organised depending on the season. You may visit the Naval Museum in Mahébourg and "La pointe des régates" which offers a beautiful view of the bay of "Vieux Grand Port" and the islands. Discover the charming town of Mahébourg. A little further South is Pointe d'Esny and the beautiful sandy beach of Blue Bay. 4km North of the villa is the Ferney Valley offering treks in a natural reserve with beautiful scenery. A renover. Ce n'est pas une villa de luxe . Electricité à reprendre (éclairage insuffisant), peinture dans les chambres de la tour à refaire, étanchéité aussi. 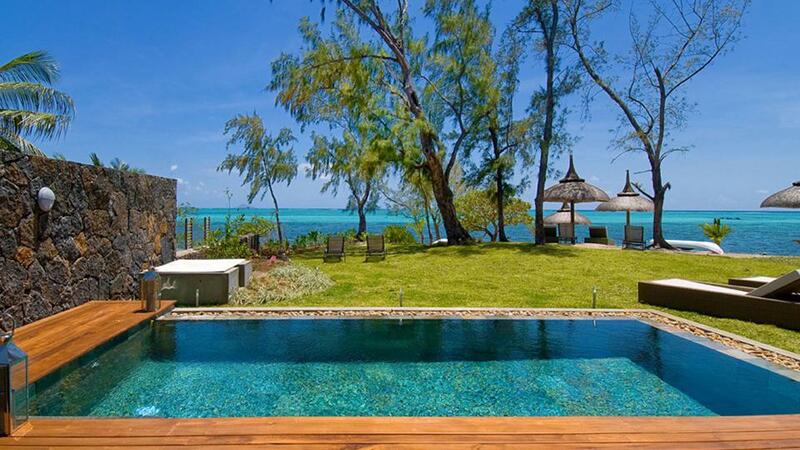 4 bains de soleil pour 10 personnes. 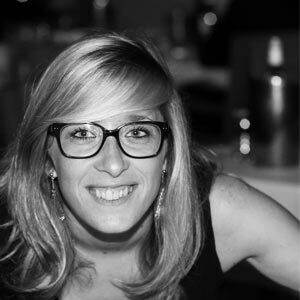 Le terme "luxe" ne convient qu'au personnel, très compétent, à l'écoute et disponible.